Learn how to build a profitable email list campaign that generate income profits on auto-pilot, effortlessly! Find out the 3 major components that instantly build you a highly converting squeeze page! 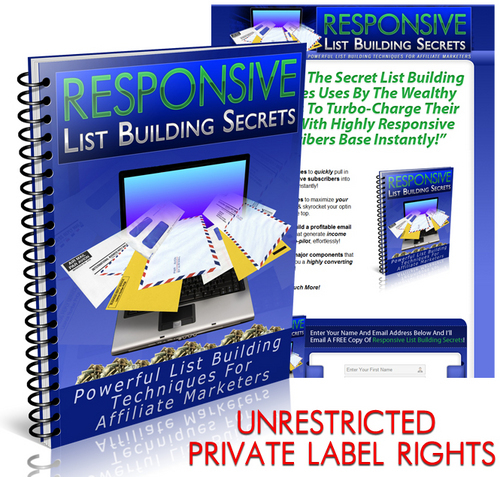 Grab The NO RESTRICTION Private Label Rights To This Brand Spanking New List Building Report You Can DO ANYTHING YOU WANT With It And Cash In Unlimited Profits Selling This Report in Your Name! Pumping Out Your First Email List Mrr!